Not your average beach tote! This roomy, patterned, canvas bag is perfect for those long days at the pool or beach and is great for holding all of your summer day must-haves like: sunscreen, water bottles, towels, snacks, and more! 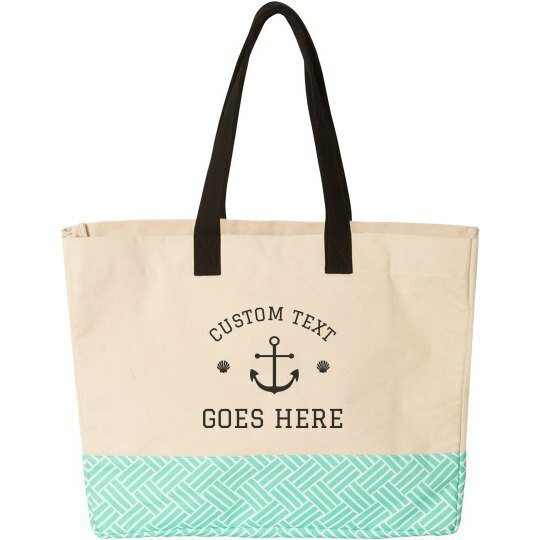 Personalize this trendy tote by adding your own art or text! Anchor away to your island destination with a customized beach bag. Take with you to your vacation a custom beach bag that holds all your trip essentials from flip flops to sunscreen and make a stylish statement even when under the sun.